Dr. Mahmood Ashraf Khan is currently working as the Director CAST and is also leading the renewable energy research group. He has in-depth knowledge of IP, Transport Networks and Access Networks and broadband networks related technologies. Dr. Farhan is leading microwave components and devices (MCAD) research group. He has more than 14 years of R&D experience on microwave components spanning from planar to multilayer LTCC technology. He is a senior member of IEEE. Dr. M Mohsin Riaz working as an Assistant Professor at COMSATS University, Islamabad. He is leading the signal processing research group (SPG). His major research interest includes signal and image processing, pattern recognition, evolutionary computing, and fuzzy logic. He has the membership of various engineering organizations. Dr. Qudrat Khan is working as an Assistant Professor at CUI. His research interests include robust nonlinear control design, observers design and fault detection of Electromechanical systems and multi-agent systems. He worked as postdoctoral fellow at International Islamic University, Malaysia from Sep 2015 to Aug 2016. His paper won the best paper award (IEEE-IRIS-2016). 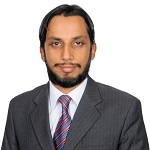 Dr. Syed Abdul Mannan Kirmani received his Ph.D. in Electrical and Computer Engineering from North Dakota State University, USA in 2017. His research interests include optical fiber communication, biomedical optics, and biophotonics. He is registered as a Professional Engineer with PEC. 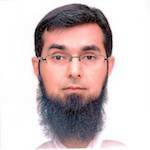 Dr. Talha Faizur Rahman is working in ITCN Research Group. His fields of interest are 5G. 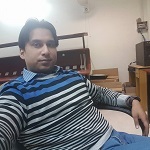 Mr. Tayyab Rasul is working in IT and Telecom Solutions Research Group. 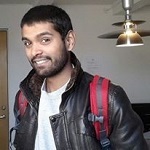 His fields of interest are Renewable Energy and Electronics Design Engineering. 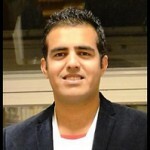 Mr. Syed Yasir Imtiaz is working in IT and Telecom Solutions Research Group. 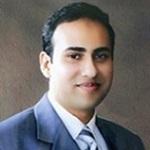 His major fields of work are Software development, Web designing, and Mobile application development. M. Raza Ul Islam is working with signal processing research group (SPG). His fields of interest are Control System design and Robotics. He is currently doing his PhD in the area of Robotics from Denmark. Mr. Muhammad Umar Khan has a research interest in 5G Backhaul Planning and Cost-Optimized Networks. 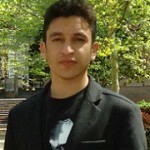 He is currently doing his PhD in the area of 5G Heterogeneous environment from Spain. 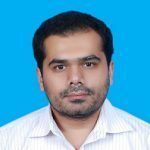 Mr. Abdul Rehman is currently working in the MCAD research Group. He completed his Master’s degree in Telecom engineering from Incheon National University, South Korea. His field of interest is RF component designs for 5G millimeter wave frequencies. 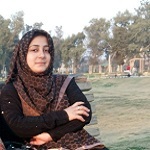 Ms. Noor ul Huda is working with SPG research group. Her fields of interest are Image processing, Pattern recognition, and Machine learning. She is currently doing her Ph.D. in the area of Image Processing from Denmark. 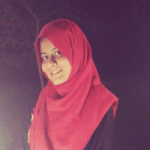 Ms. Arjmand Fatima is working with signal processing research group (SPG). Her fields of interest are software development, web designing, image processing, deep learning, and mobile application development. Shehryar Imtiaz is working in MCAD group. His area of research includes Leaky Wave Antennas and Substrate Integrated Waveguides. Apart from his research activities, he is responsible for the fabrication and testing of Antennas.